Rich library of tools to drive any process. 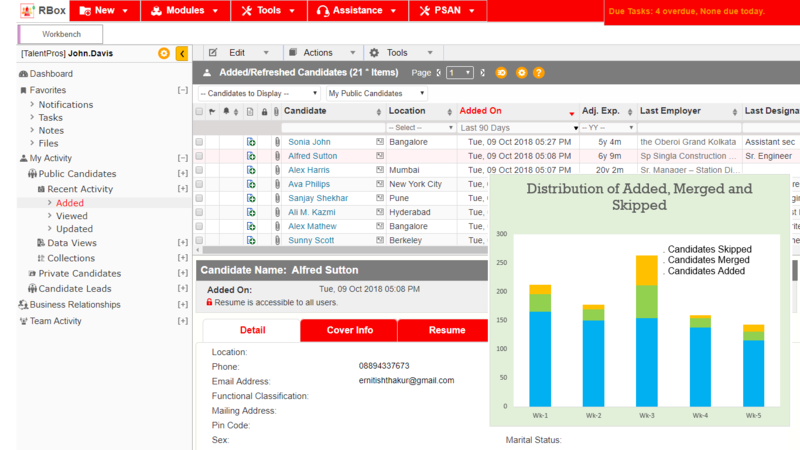 Public and Private Candidates, Unlimited Private and Public Collections, Functional Classification, and many other tools to help you fuel the candidate needs of any process. 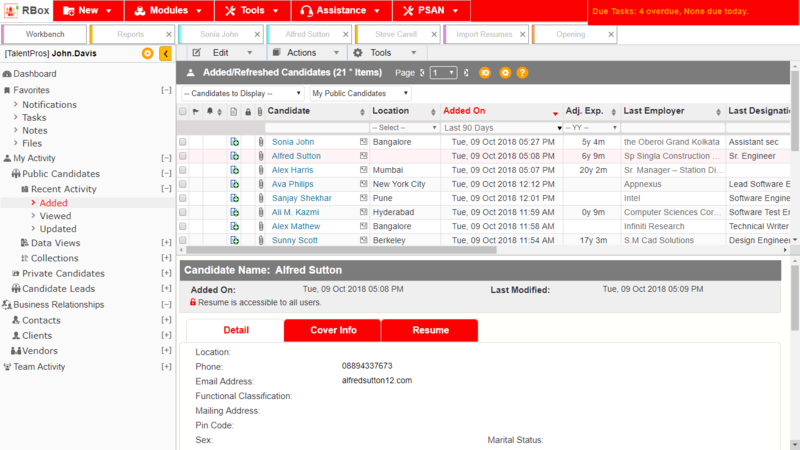 Candidate Management with automatic and intelligent duplicacy resolution ensures unique communication history. Import your external data using XLS/CSV format to transfer candidates from virtually any system. And Export to XLS action in virtually every data view enables you to export any type of filtered data effortlessly. Complete History. Avoid all confusions. Complete Communication History. Avoid mistakes in the team. Unlimited Rich templates for Standard based Communication. Intelligent Heuristics to rank candidates on different parameters like recency, availability, employability, or combination of these enables you to achieve the best fit for your candidate needs. Search Agents for Standardization and Training. 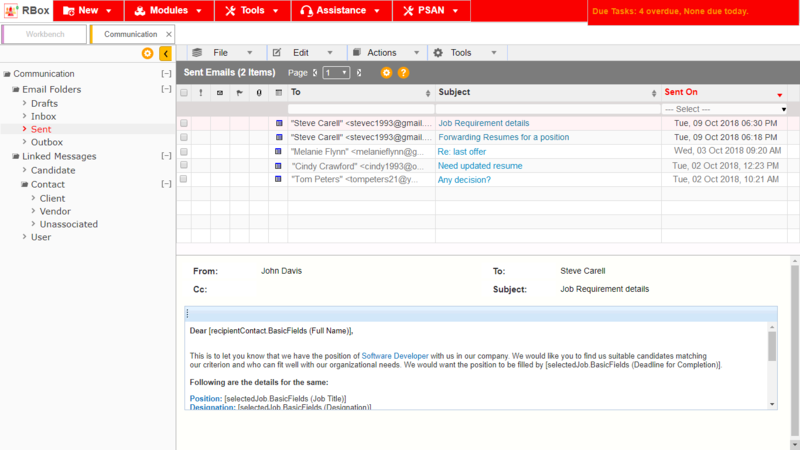 Create search agents for most common requirements to help your team in standardizing their Candidate identification. These agents also provide a tool for training new team members. Insights to keep you on top of your rich data. 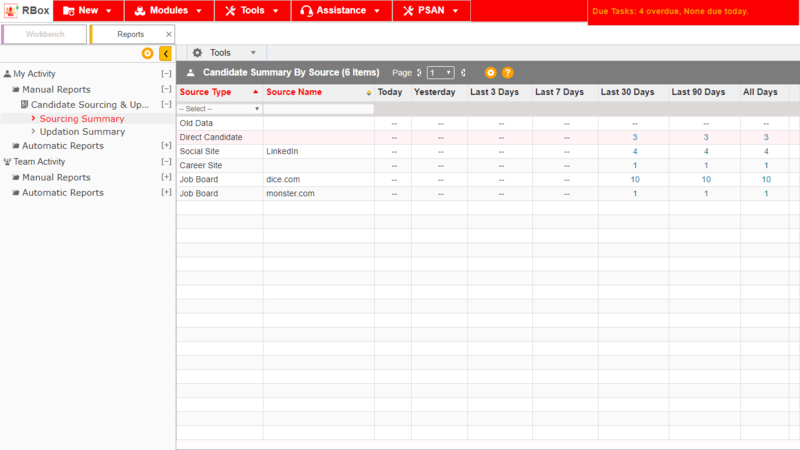 Single click reports for sourcing, updating, and viewing to help you analyse and structure your data processes quickly. 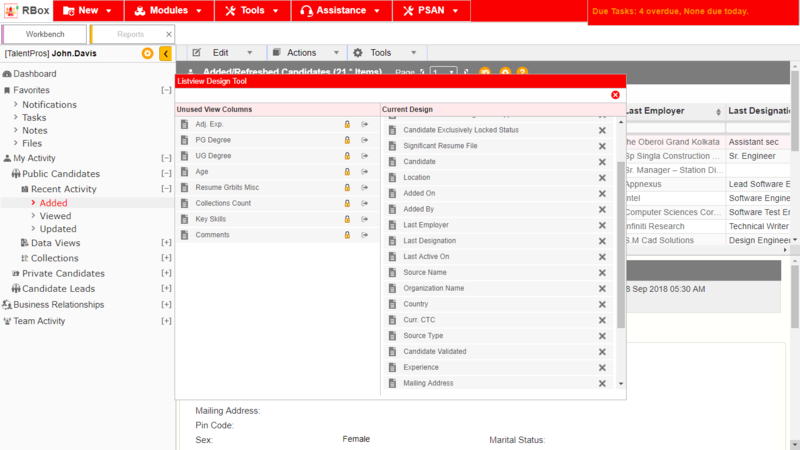 Reports are available at individual user level, and team manager level to enable analysis at all levels. All reports are exportable to excel for quick external review. 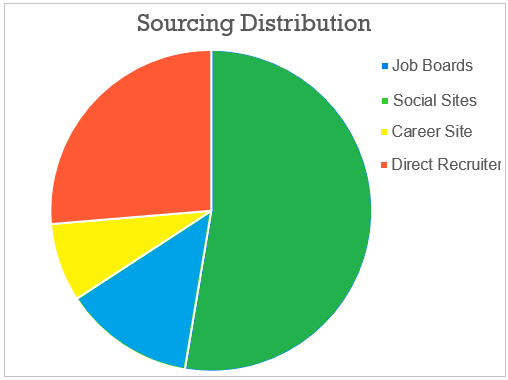 Source from Job Boards, Social Sites, Career Site, Email and Desktop folders alike to build an integrated pool to fulfil the requirements for any industry and position. Use the best sources for each requirement to ensure the highest results with least cost and effort. No need to change. The product will adapt for you. Virtually unlimited User Defined fields for all objects to enable to you to capture every small detail about each element in your process.